Dr. Aaron Fletcher is an award winning facial plastic surgeon. He enhances your appearance, while making your work invisible to others. He is also an ENT opinion leader, specializing in sinus symptoms and technologically advanced treatments for chronic sinusitis. We listen to your concerns and leave no questions unanswered..
Dr. Fletcher has trained with distinction at world-class institutions throughout the country. We enhance your consultation with the latest patient education tools. Our goal is to provide you with the best possible care while making your visit as pleasant as possible. Check out these patient testimonials. Dr. Fletcher and his staff are all I could have hoped for in an ENT specialist. He has been my specialist for several years now and has always provided the absolute best care, best advice and treatment during every visit! Very professional, great team member at his office. Just had my surgery and not just went well, I feel very confident since the first appointment base on the way he explained the procedure. Dr. Fletcher and his staff are amazing. They have walked with my husband and I through every step of his surgery process. They are patient resourceful and genuine. God couldn't have blessed us with a better team. Thank you for everything. I highly recommend Dr. Fletcher!! He's amazing and talented doctor!! Make sure you visit my new blog titled Dr. iNoseBetter where we separate fact from fiction and empower you with knowledge for better health. New posts weekly, so keep checking back. Do not let allergy symptoms determine how you live your life. Call the Georgia Center for Ear, Nose, and Throat today, and increase the quality of your daily life! 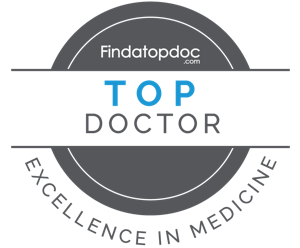 Dr. Fletcher is an award-winning clinician, surgeon, scholar and educator. The Georgia Center for Ear, Nose & Throat and Facial Plastic Surgery @2017 All Right Reserved.